This is Part 5 of The 8 C’s of Plotting. Read parts one, two, and three first, if you please. Click here for the whole series on the 8 C’s. Click the image below to be taken to the General Fiction Feed. I’m back! This week has been a bit crazy, but here’s Preparation and Problems for you, which is usually the longest section of the book. This is generally the longest segment of the narrative, when the protagonist makes friends and enemies and learns new skills. In Harry Potter and the Sorcerer’s Stone (or Philosopher’s Stone, for my friends across the pond that got the original HP series), this is where Harry meets Ron, becomes friends with Hermione, is pitted against Snape and Draco, plays Quidditch, plays chess, etc. If there’s a skill you protagonist needs to know, or if your protagonist needs a certain tool or ally in order to WIN THE STUFF,* then he or she will acquire that during this section. *You know, defeat the bad guy, get the girl, that sort of thing. The Preparation and Problems is also where the Protagonist’s problems will intensify. Think of it as a two steps forward, one step back movement. Those “step backs” are setbacks or confrontations with the/an antagonist. Don’t let your reader forget the antagonist and what is at stake for the protagonist! Let’s review the Preparation and Problems for The Lion King and The Hunger Games. 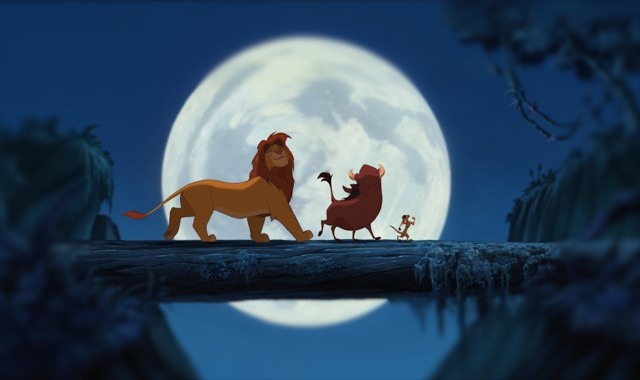 In The Lion King, Simba meets Timon and Pumbaa, he learns Hakuna Matata and grows up into a big strong lion. This is upward movement. Don’t get too comfy—The camera shoots back to Pride Rock to remind us that there’s still a problem Simba’s going to have to face. This is the first Pinch Point. Highlight between the brackets to see the text, which may contain spoilers: [Zazu and even the Hyenas aren’t happy with the way Scar runs things.]. A pinch point allows the antagonistic force of the story roaring onto center stage to announce itself and remind us of its dark intentions and inherent threat to the hero’s quest. To stick it right into our face so that we may fear and [loathe] that which the hero fears and [loathes]. …Every story has a hero. Every hero has a journey, a quest, a problem to solve, a need to fulfill. There are obstacles in the way of that quest, often (usually) embodied in the character of an antagonist, or the bad guy. A pinch point is when the primary opposition to the hero’s quest comes front and center in the story, showing itself to the hero and to us. …If the hero is being chased by a bear, the bear will show up at the pinch point. If the story is about an airplane crashing, something that reminds us we’re about to crash will show up at the pinch point. If the story is about trying to win back lost love, the pinch point is when the departed lover turns up in the arms of another. Then there’s the stargazing scene. Simba thinks about his dad, Rafiki has a realization, and Nala shows up. Can You Feel the Love Tonight? Now, when I first plotted out The Lion King, I put the love ballad in the slot for “Elation.” Except it isn’t. Nala showing up isn’t the real confrontation. She’s more of a set back in Simba’s plan to forget his past. The real confrontation? We’ll get to that next time. In The Hunger Games, [The Games begin. Katniss nearly dies of thirst (1), she dodges fireballs and gets burnt (2), she takes refuge in a tree and Haymitch sends her ointment for her burn]. You’ll see that there are two big problems that Katniss has to overcome while trying to stay alive during the Hunger Games. The second one is the pinch point—it’s when we are reminded that The Capitol controls the games. In the movie, the Gamemakers get their own scene. When you have a pinch point—and there are at least two—you have a choice. You can either have another character remind the protagonist about it (Nala telling Simba what is going on at Pride Rock), or you can actually show it, unfiltered by the protagonist’s eyes (A scene devoted to Scar, showing him doing mean, awful things). The latter is more powerful because the reader will experience it for him or herself. Depending on the length of your book, I’d shoot for two pinch points BEFORE the Confrontation. One can be direct, and one can be indirect. The rest of the time, you can move the plot along by throwing in other obstacles, like general problems or minor antagonists. Next time we will be talking about the Confrontation, Elation, and Collapse, and we will relate them to the 3-Act Structure’s Midpoint. I can’t make any promises, but I think I’ll publish another post about the 8 C’s before next Friday, since this post was late.Stay tuned, and Write Now!